Cadbury has introduced a Vegemite variant as part of a marketing stunt around the launch of leftfield flavours. 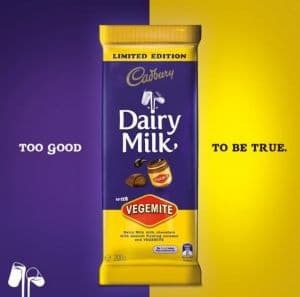 Dairy Milk with Vegemite will be available nationally in the coming weeks for a limited time only alongside Pretzel and Peanut, Salted Caramel and Golden Toffee flavours. 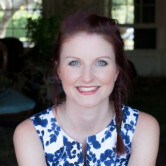 The marketing behind the launch is based on social media with the brand engaging in discussion, debate and conversation on Facebook and Twitter. Last year Cadbury launched its Flavours campaigns with a focus on innovative flavours. The inspiration, it says, comes from the taste trend towards flavours such as salted caramel that pair sweet and savoury flavours. The Choc plus What campaign is rolling out this week. Nine News has taken a vote on whether it's a good idea... with the majority (57%) saying 'No'. But people are talking about it, and sales will undoubtedly go through the roof.